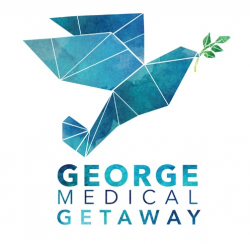 George Medical Getaway is the first Certified Inbound Medical Tourism Facilitator in Malaysia, certified by the Medical Tourism Association in the United States. We provide medical and wellness travel solutions for clients from all over the world and help them find better healthcare. We are advocators for our clients, bridgers in the process, organizers in the strategy, and educators for the patients. We specialize in multi-disciplinary medical and wellness services, incorporating both western and eastern medicine to provide our clients the best of both worlds in healthcare, while they enjoy the sights and sounds of Malaysia. We emphasize the 'care' in healthcare by offering exceptional services in every aspect of a medical tourist journey. From the get go, our holistic approach ensures that every patient is treated with exceptional customer service, receiving world class health, medical and/or wellness treatments aided by exceptional medical service providers. At GMG, no one is a stranger. We embrace the uniqueness of each client and try our very best to cater to their specific needs, wants, and characteristics. Core Task -Assist in the identifying new sales leads -Assisting in pitching products and/or services -Maintaining fruitful relationships with existing customers Day-to-day duties typically include: -Researching organizations and individuals online (especially on social media) to identify new leads and potential new markets -Researching the needs of other companies and learning who makes decisions about purchasing -Contacting potential clients via email or phone to establish rapport and set up meetings Attending conferences, meetings, and industry events -Assist the business development team with Preparing PowerPoint presentations and sales displays -Assist the business development team to write reports and provide feedback to upper management about what is and are not working.